Evel Knievel fans will not want to let this pass them by! 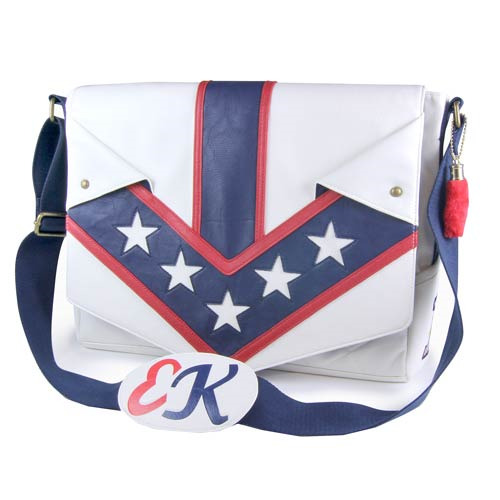 This Evel Knievel Jumpsuit Messenger Bag is made of sturdy faux leather, and has been inspired by Evel's iconic white leather jumpsuit. Bag features a spacious main padded inner compartment able to hold a laptop up to 15-inches wide, along with a front organizer pocket. Measures 15-inches wide x 11 1/2-inches tall x 4-inches deep. Ages 13 and up.